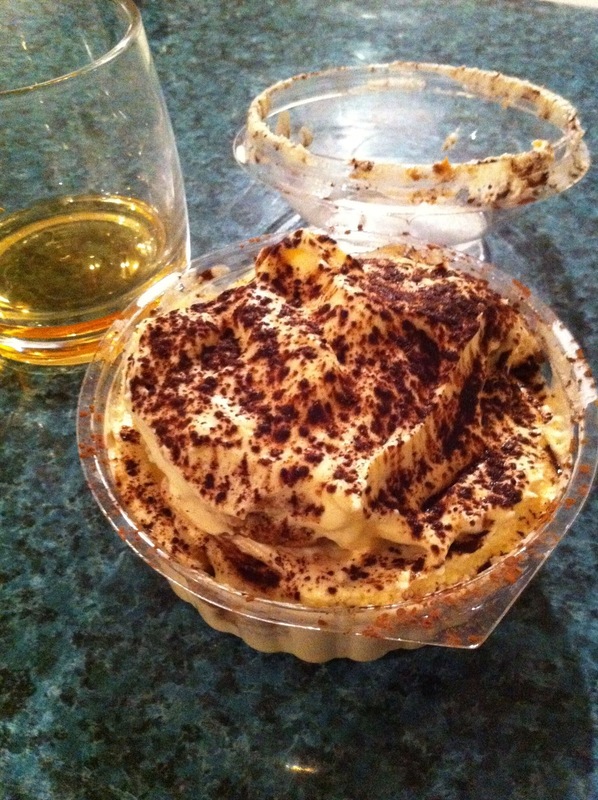 Well, I finally got the chance to try the long-awaited homemade tiramisu at Solo Pizza, freshly handmade by Stefi. It comes conveniently packaged in a generously large serving, and for $6.50, is great value, particularly given the quality. I'd already had dinner, and was stuffed full, but was driving past the shop and couldn't resist the opportunity to check it out. There were a handful of young, well-dressed men and women in the store happily chatting away with Gio and Stefi, and with each other, in Italian, sipping occasionally from glasses of wine in their hands. If I didn't know better, I'd think I was in Italy! I told myself that I would stop at just one mouthful. Then two. Then three. Then damn it, I ate the whole thing. 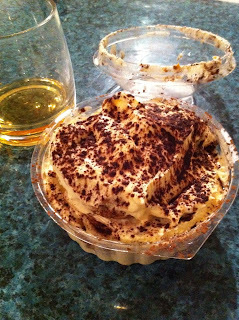 This stuff is good - beneath the light, fluffy and sweet mascarpone layer lurks the deliciously spongey savoiardi, bursting with moisture but not feeling soggy at all, offering up a subtle flavour-blend of espresso and a hint of some dark, rich liquor, so tantalisingly familiar but I just couldn't pick it. I'll need to ask Stefi about it next time.